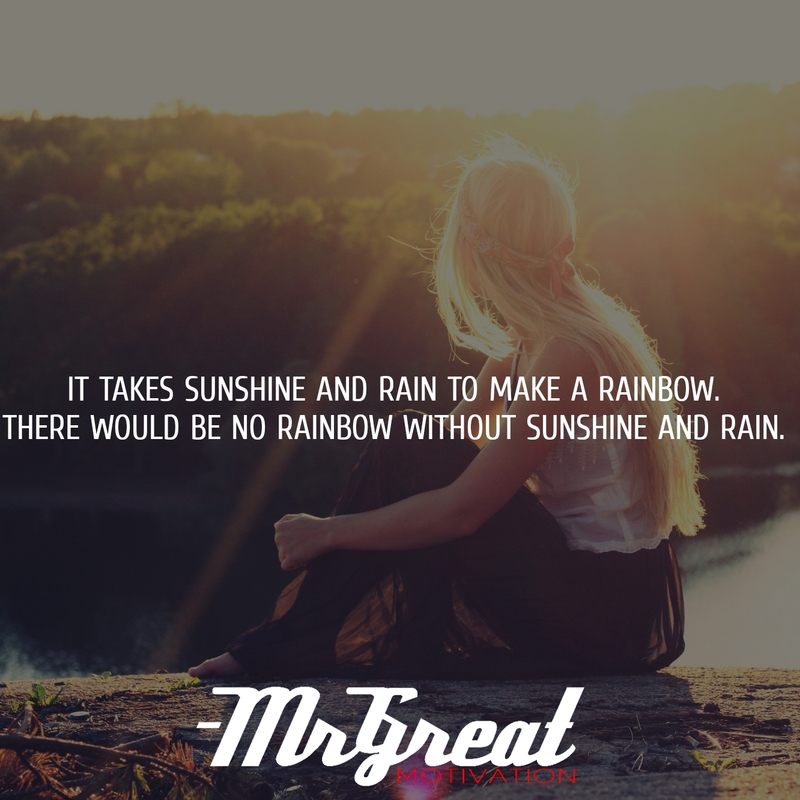 Sunshine is a significance of happiest time and rain denoted as tough times of our daily life. Good and bad things balance the emotions and happenings of day to day life. When we enjoy these equilibriums forms a rainbow. Life is full of twist and turns. Nothing is permanent. There will be rain and next morning always sunshine to balance the bad times. Sometimes darkness makes us feel completely uncomfortable and we might not find daylight soon. In fact, we all are getting bliss and bitterness simultaneously. One day’s loss is tomorrow’s gain. If today was your bad day, you should know that time will pass away and make a way for light soon so we need to remember that every challenge comes with a possibility of light. The pain gives us a greater sense of appreciation for the pleasure. The only assurance in life is that everything will transform, nothing will remain the same, whether we’re ready for it or not. Transformation is a process and as life happens there will be tons of up and downs and twist and turns in our life. But we need to gather the strength to keep moving in the search of a rainbow always. Every challenge holds within it the possibility of reward; a possibility of a rainbow after the rainy day.